New study compares satisfaction rates of contact lens users with people who underwent laser eye surgery for vision correction (Myopia, Hypermetropia, Astigmatism and Presbyopia). The study published in the most influential US journal (Ophtalmology), recruited 1.800 people and found that contact lens users who opted for laser eye surgery were more satisfied with their vision a year after the surgery – and even more satisfied after 2-3 years. 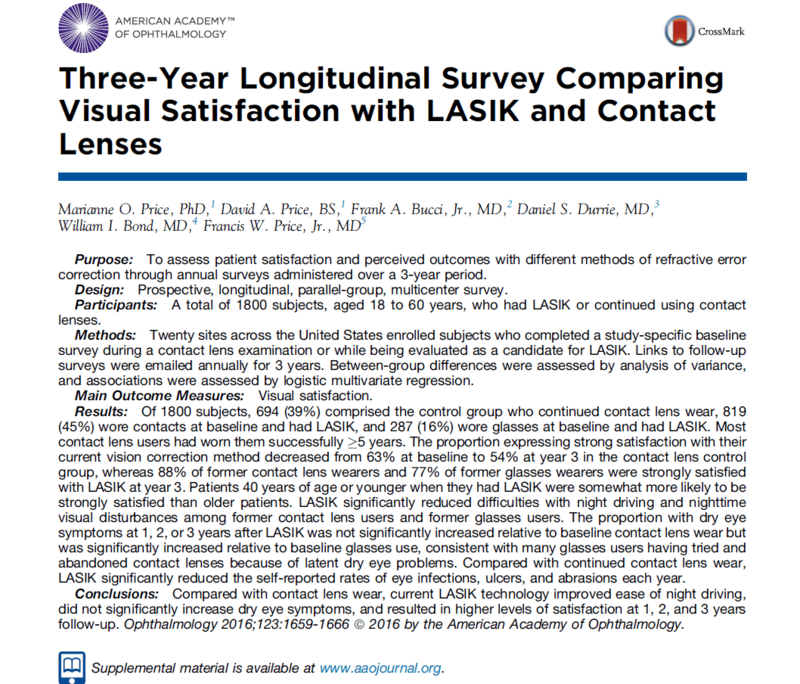 People surveyed after laser eye surgery reported higher satisfaction rates than those who didn’t have laser and instead continued to use contacts. “The study is the first to compare satisfaction rates of contact lens wearers with those who undergo laser vision correction for Myopia, Hypermetropia, Astigmatism and Presbyopia. This patient-reported information allows to compare efficacy of laser eye surgery with contact lens performance”, affirms Dr Badalà, expert in ocular Laser and Microsurgery interviewed on the subject. 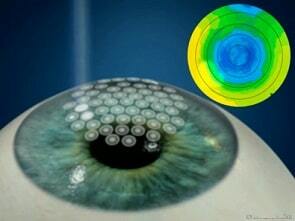 Laser eye surgery had a better long-term safety profile; self-reported rates of eye infections, abrasions, and corneal ulcers were over twice as high in the group who continued using contact lenses as compared with the group who had laser surgery. The study is among the first to focus on results from patient self-reported data. “Patient-reported outcomes give us a new way to evaluate treatment efficacy, going beyond standard clinical statistics”, concludes Dr Badalà. This latest validation of safety, effectiveness and resulting satisfaction associated with laser surgery is a particularly relevant result. Moreover, the study found that satisfaction was especially high among younger laser eye surgery patient participants (under 40 years old).